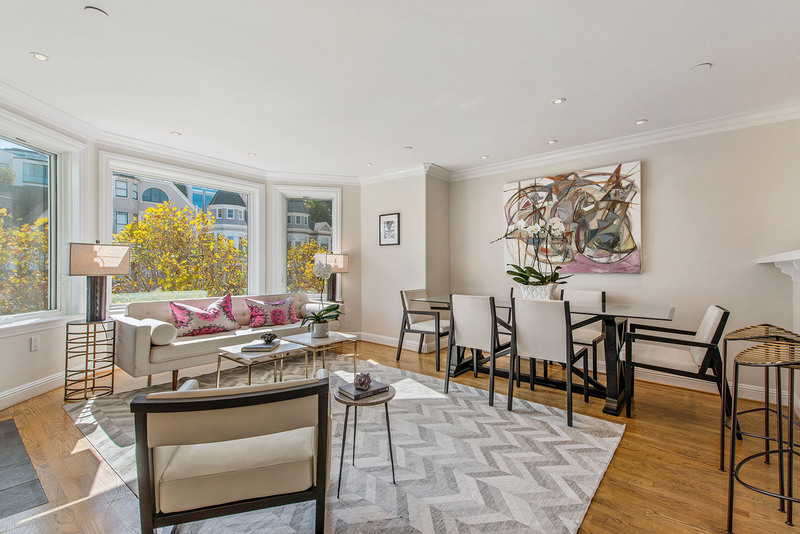 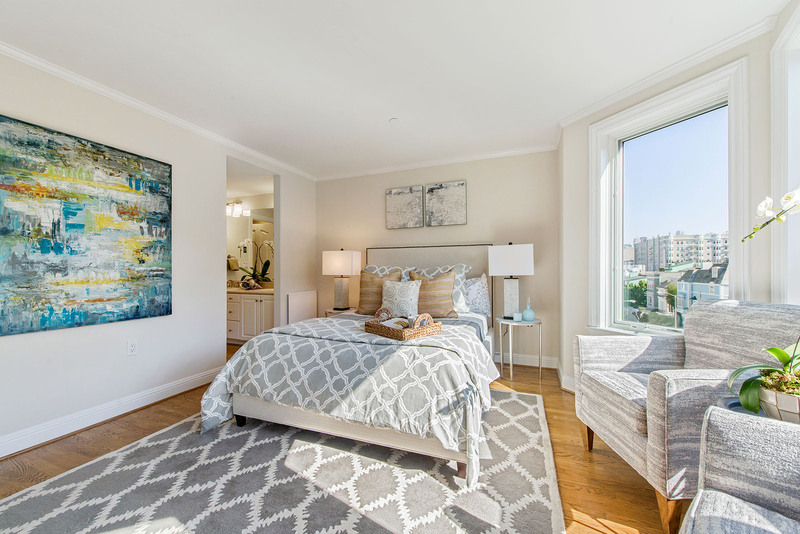 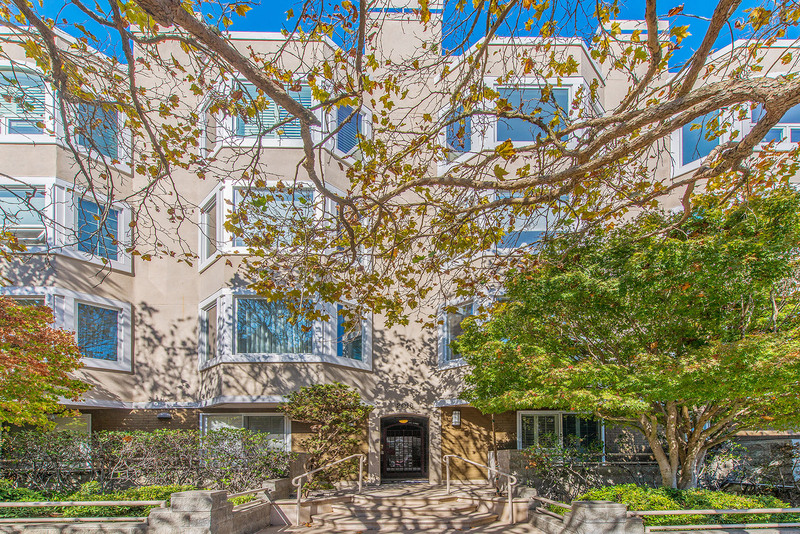 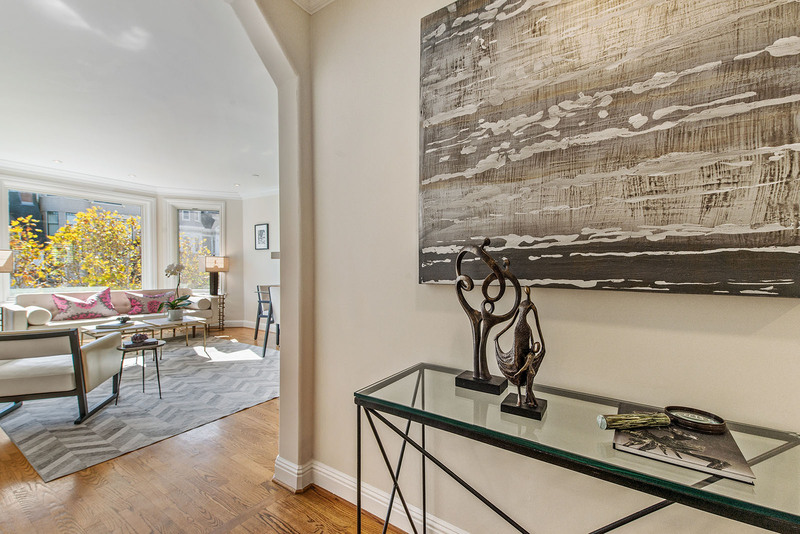 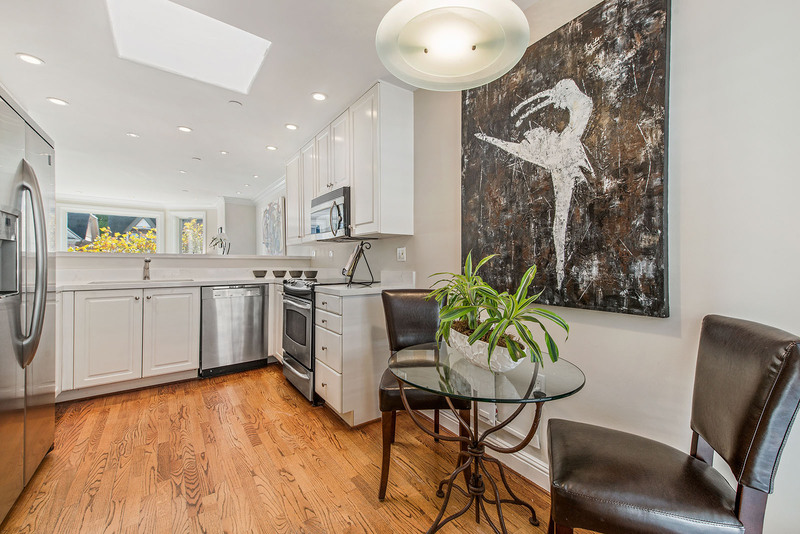 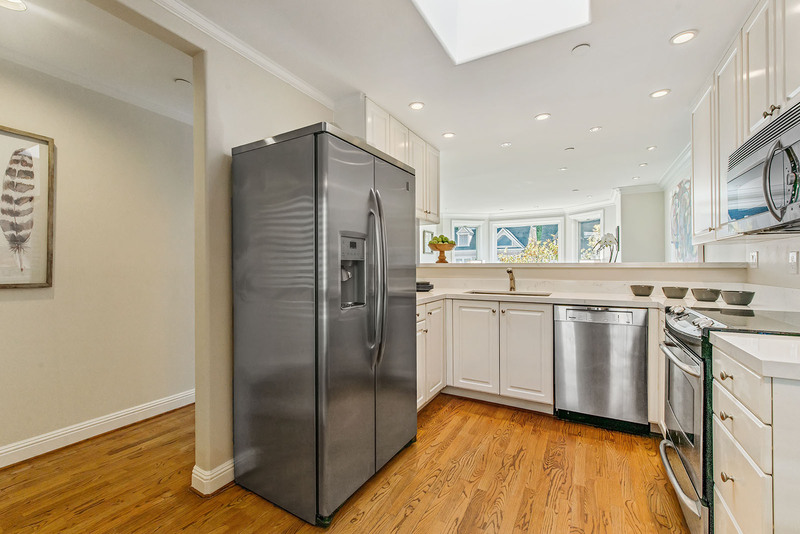 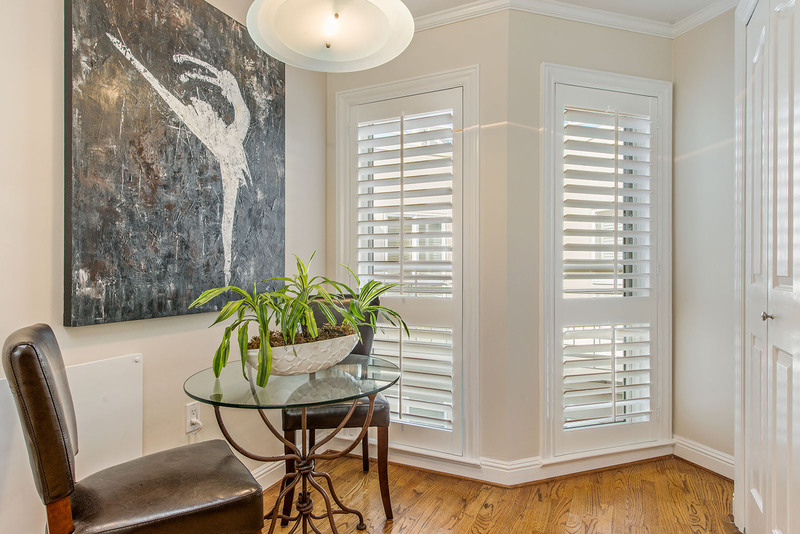 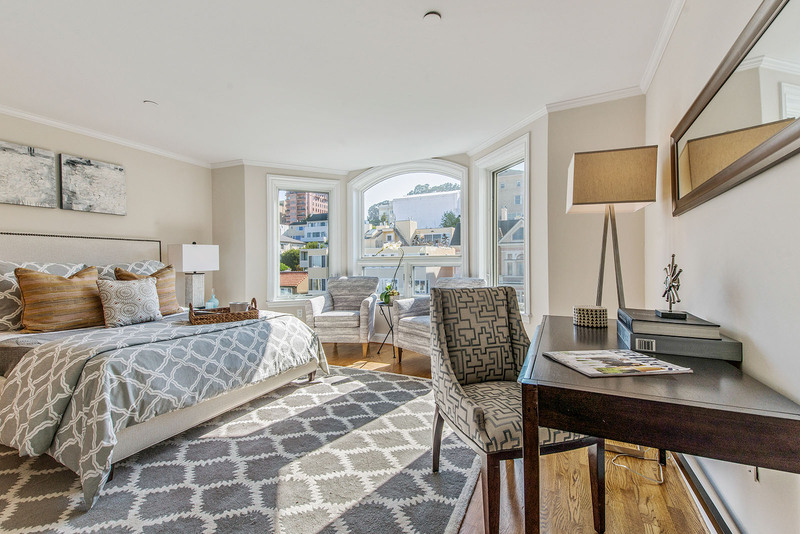 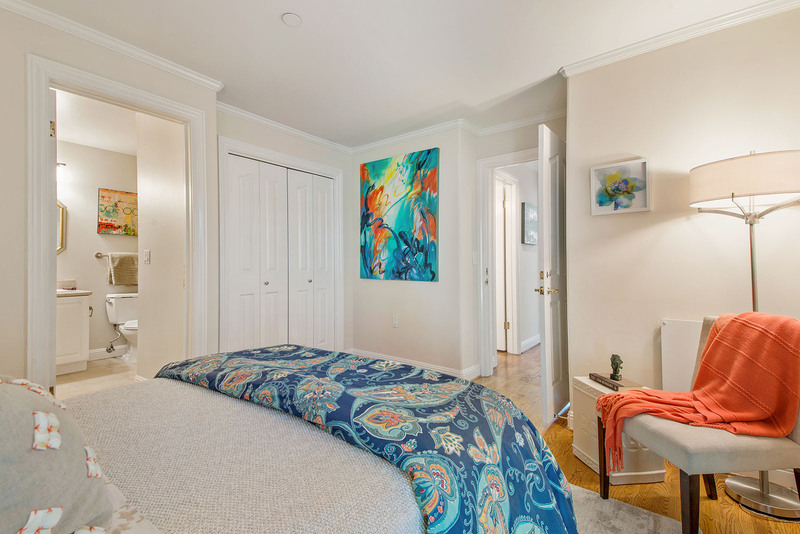 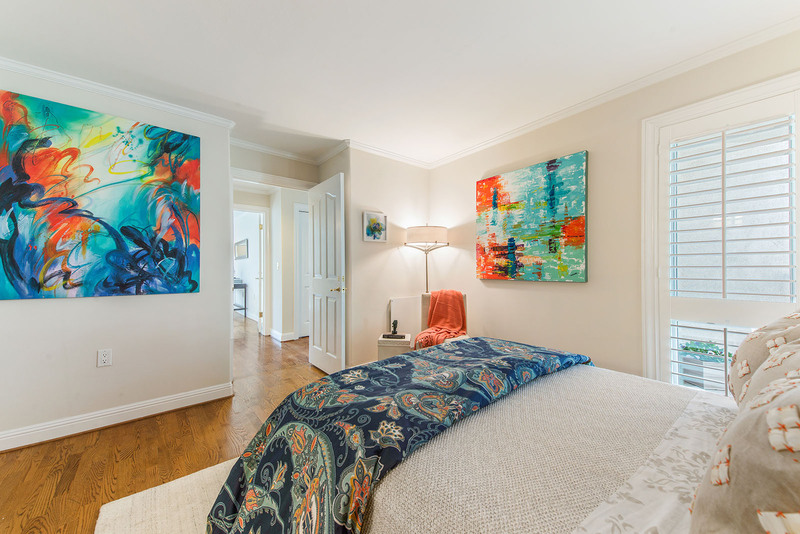 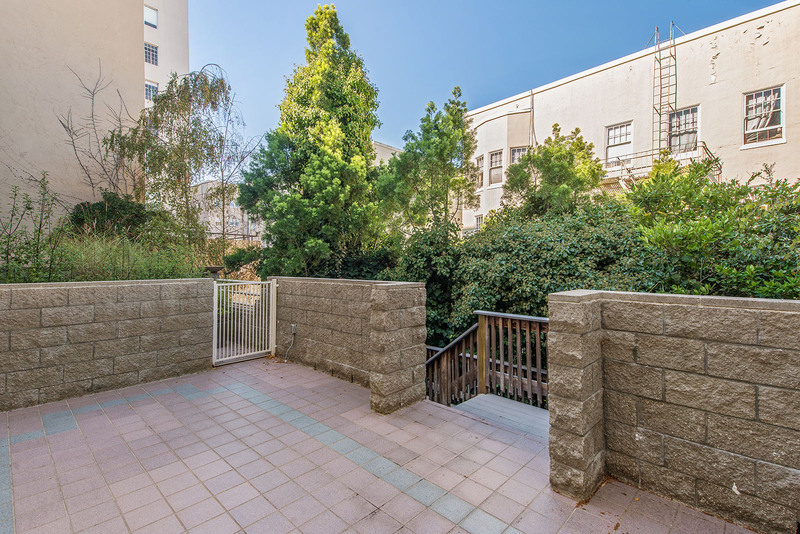 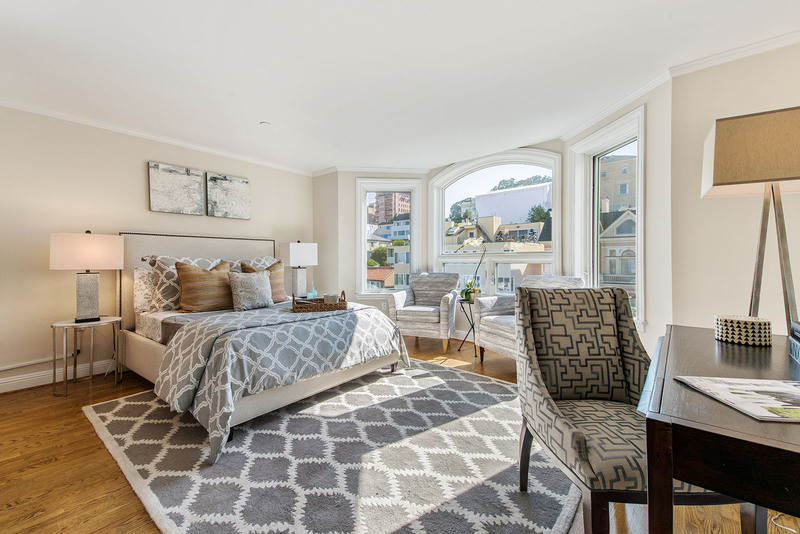 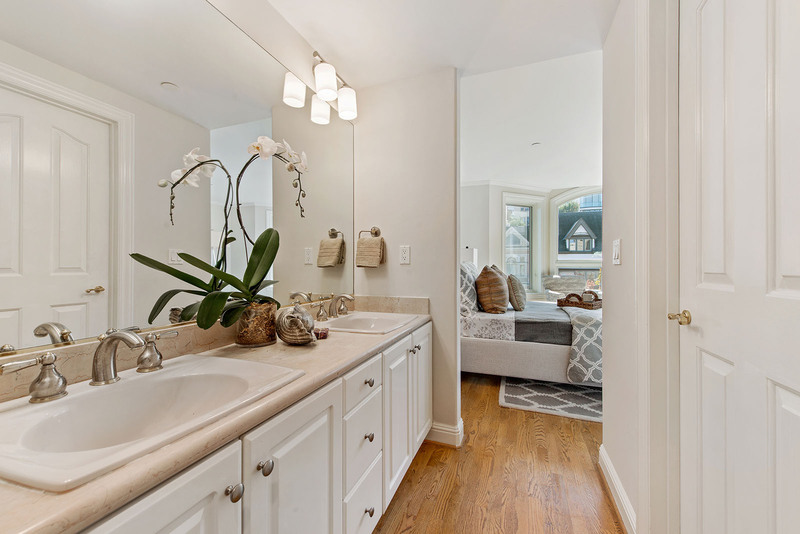 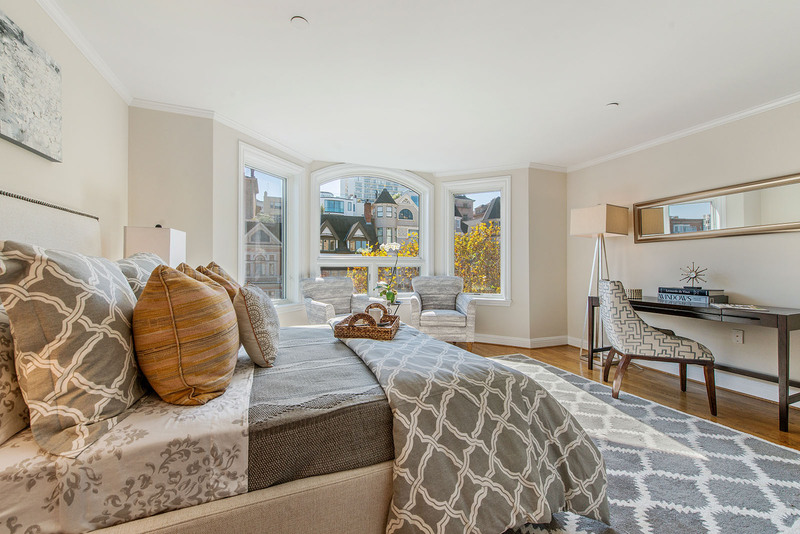 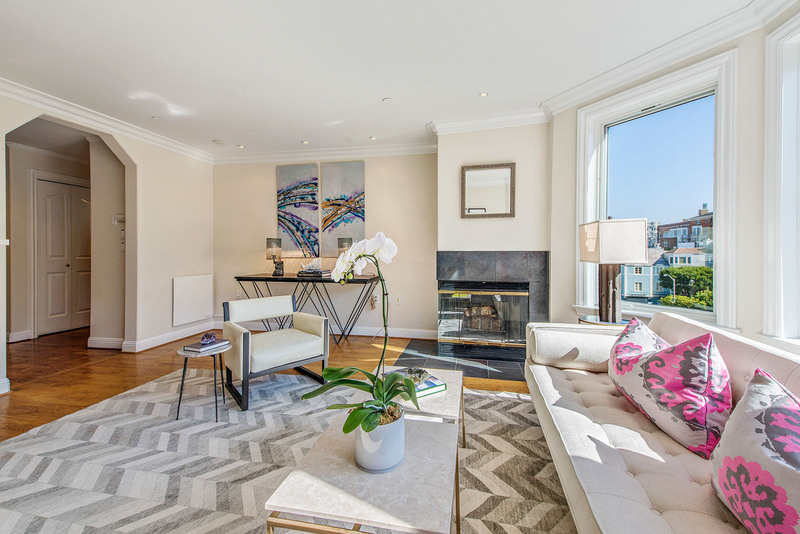 Top floor condominium in an elevator building situated on a lovely Pacific Heights block. 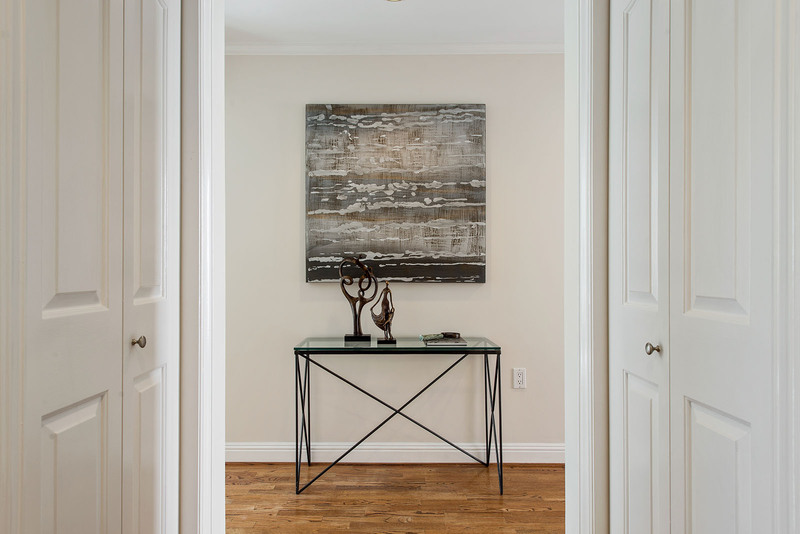 The home's southern exposure fills it with an abundance of natural light, and the thoughtful floor plan allows for separation of public and private spaces. 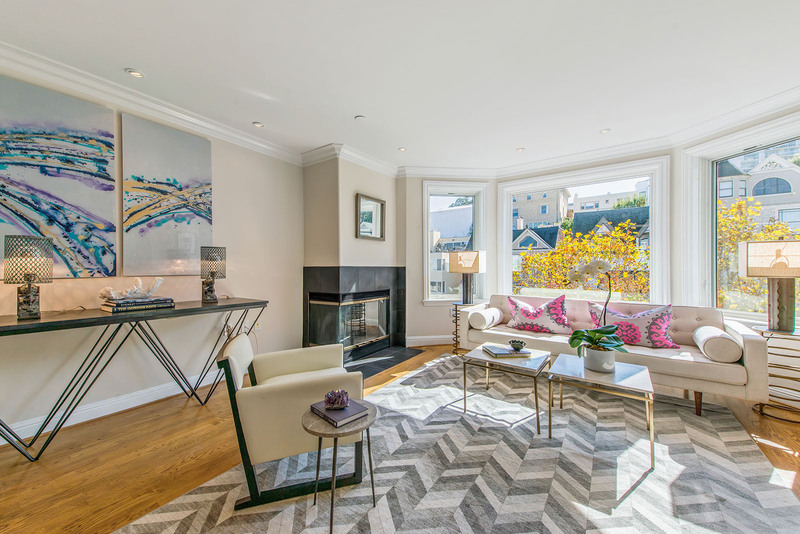 The open living/dining area includes a wood-burning fireplace and sizable windows frame the iconic Victorian homes across the street. 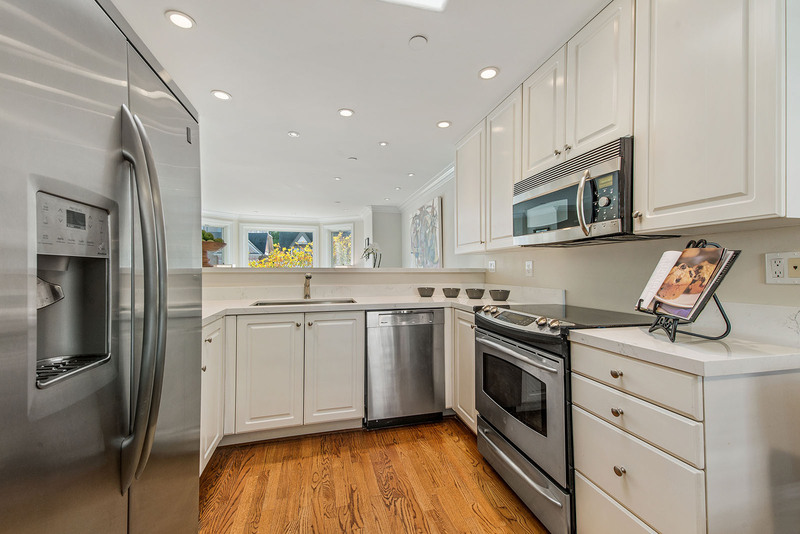 Gleaming quartz countertops highlight stainless steel appliances in the kitchen, and there are multiple options for dining at the breakfast bar, kitchen nook or great room. 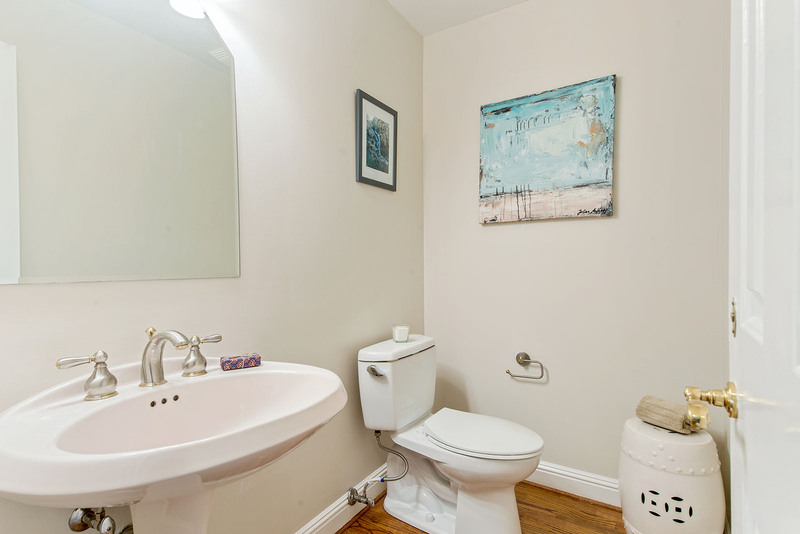 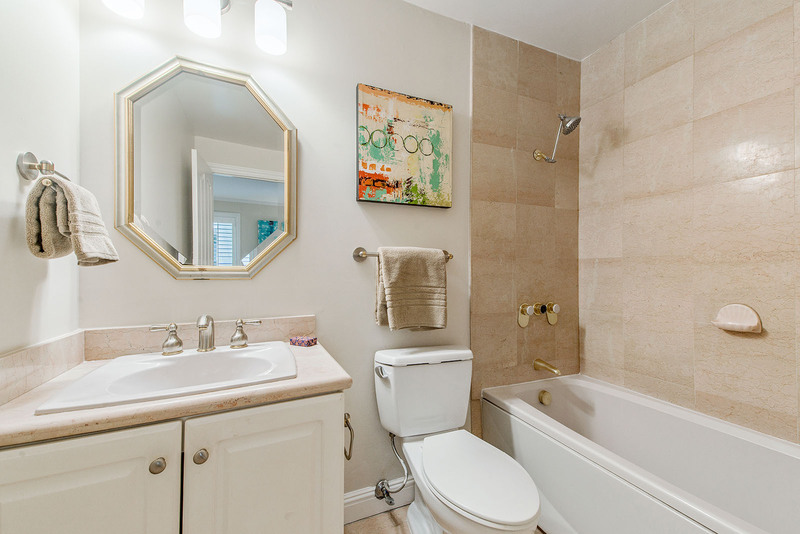 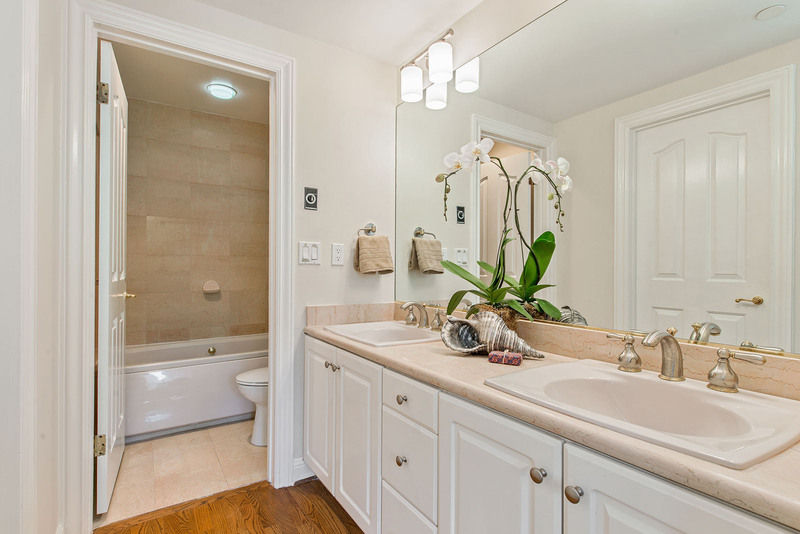 Two generously sized bedrooms have ensuite bathrooms, and there is a convenient half bath as well. 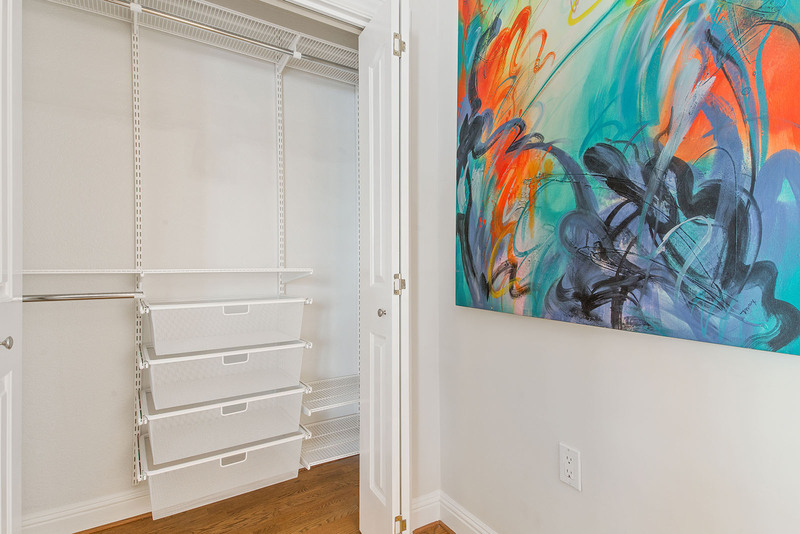 Closet space is plentiful, with Elfa organizers in each bedroom and 2 additional hall closets. 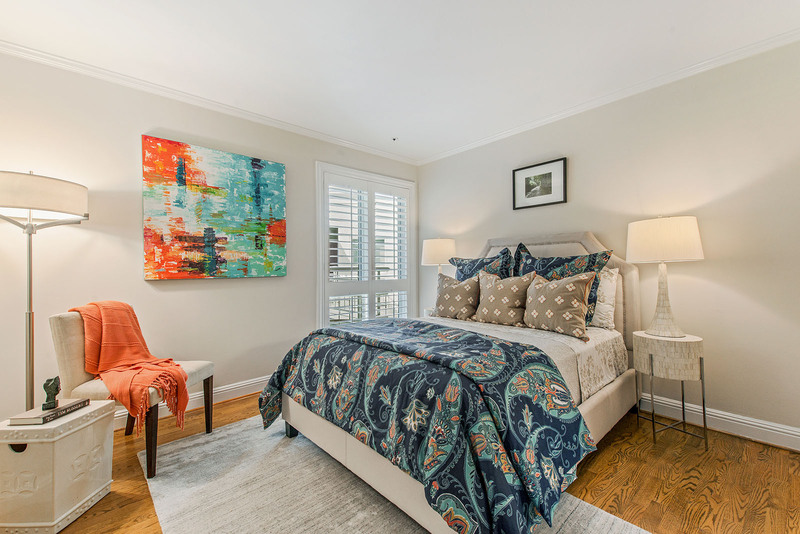 Recent updates to the home include new windows, kitchen countertops, plantation shutters, radiant panel heaters, closet organizers and fresh paint. 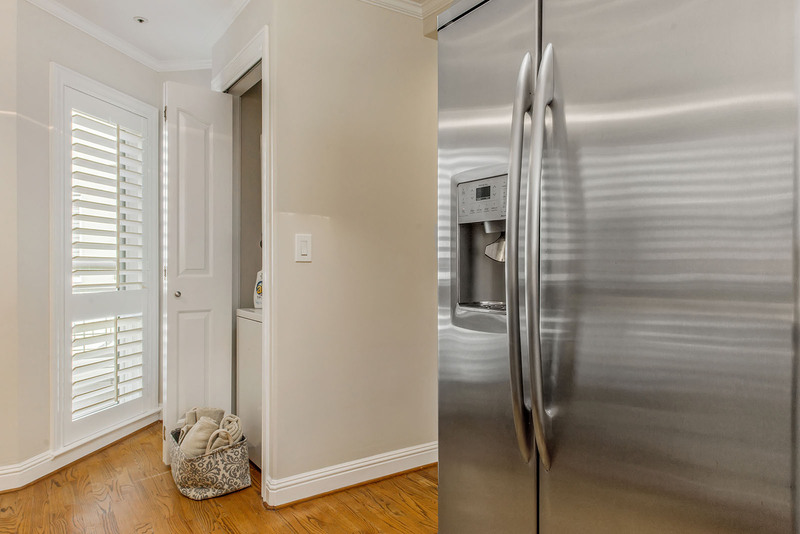 1 car garage parking and a large storage area are easily accessed via elevator, and video intercom offers a secure way to welcome guests to your home. 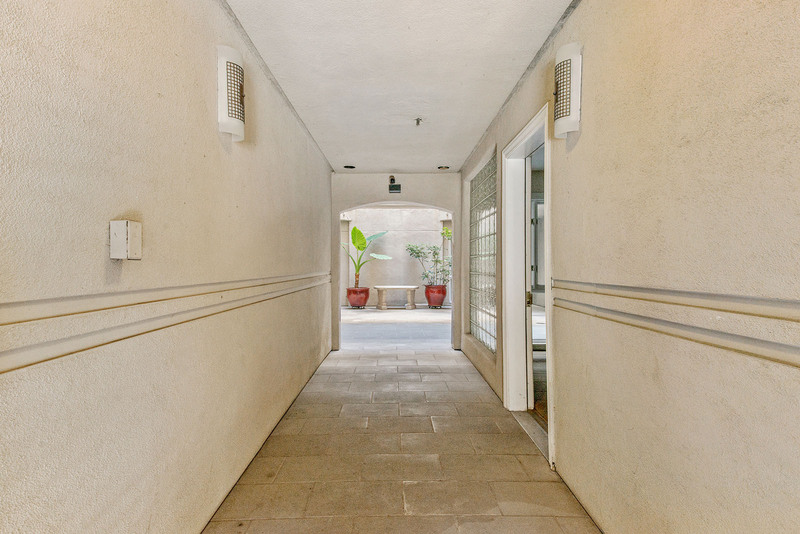 A washer and dryer is conveniently located inside the unit. 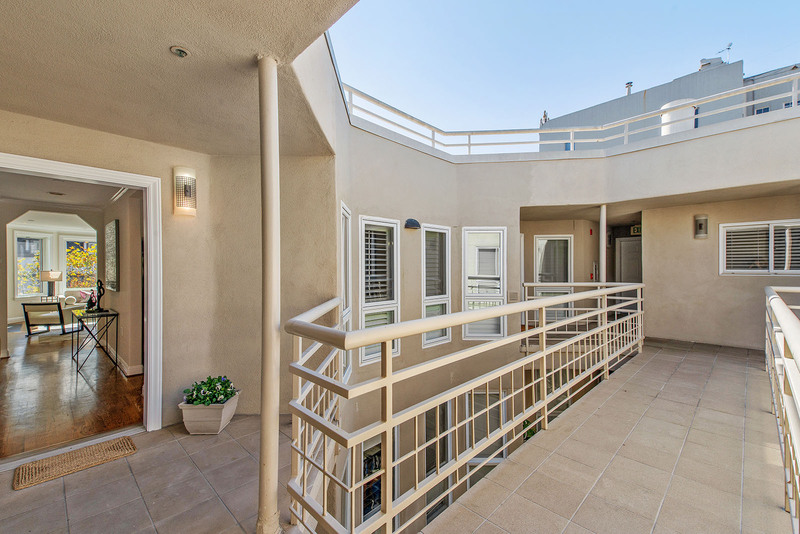 HOA dues are $433 per month and include water, insurance, property management, garbage, gardener and common area maintenance. 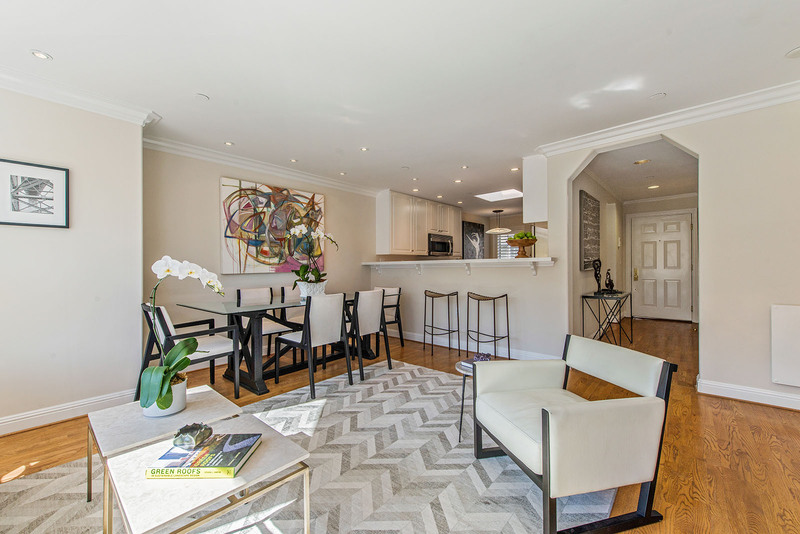 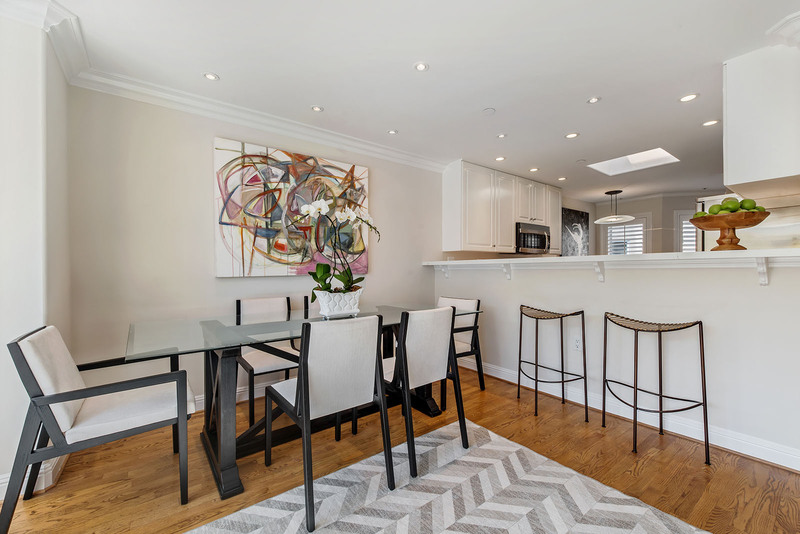 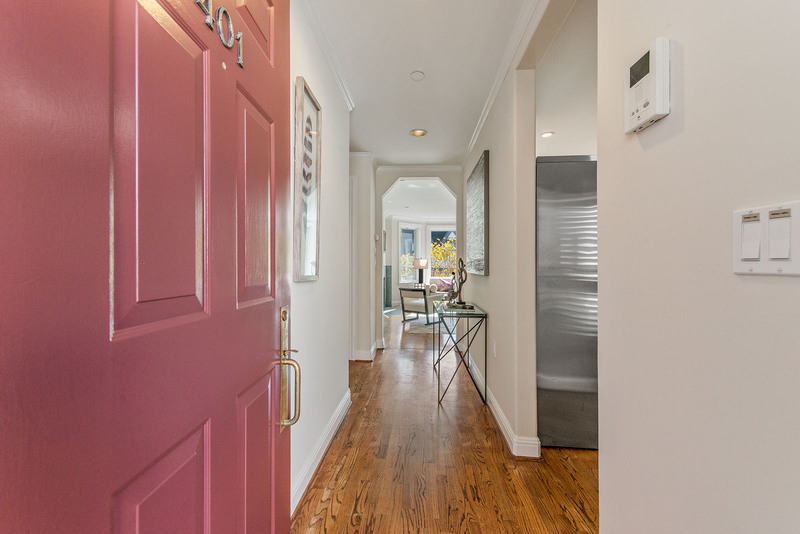 Lafayette Park is two blocks away and Fillmore and Union Streets are each within 4 blocks of this beautiful home, providing a perfect spot to begin your exploration of the City.